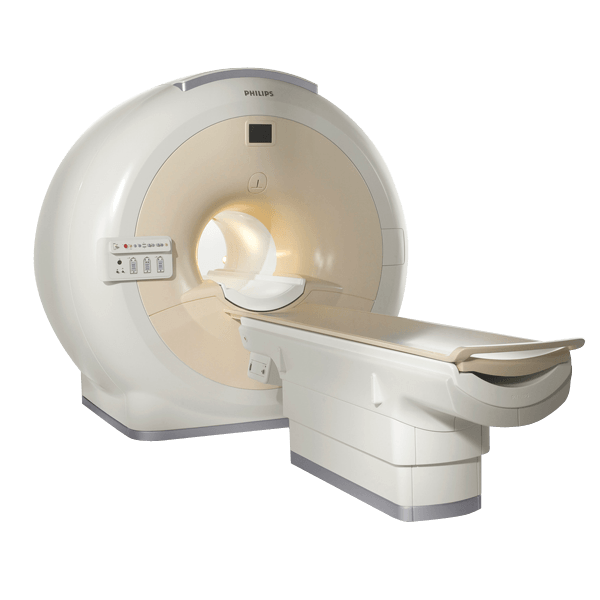 The Philips 1.5T Intera mobile MRI is one of the world’s most in-demand devices in its class. Including 4 and 8 channel configurations combined with a Pulsar gradient, this mobile MRI system includes some of the comfort and efficiency features that one would find in the more expensive systems.Moreover, the Philips 1.5T Intera mobile MRI includes the popular SmartExam system, which is designed to provide uniform image quality across patients, technicians/operators, patient position, and pathology. The Intera mobile MRI scanner is also equipped with SENSE technology, an essential for high-quality, contrast-enhanced magnetic resonance angiography, interactive cardiac MR, and diffusion tensor imaging (DTI) fiber tracking. The combination of these technologies can help produce increased accuracy and clarity for various scans, while aiding in efficiency and accurate diagnoses. The Philips Intera 1.5 is known for its very good head, body and spine RF coils. The SmartExam software is very user-friendly and popular among our customers. Its flared bore allows for good patient accessibility.